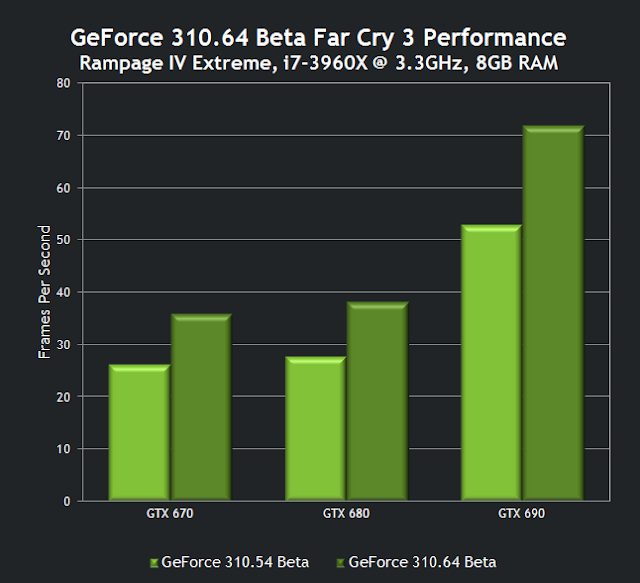 The new drivers pack a dramatic perforamnce improvement on Far Cry 3 with up to 38% faster than the 310.54, "In addition to maximizing compatibility in the new, performance-intensive first-person shooter, the 310.64 beta drivers improve performance by up to 37.6% in the configurations we've tested. Furthermore, the previously-released SLI profile is also included, allowing multi-GPU users to maximize performance the moment the game launches." 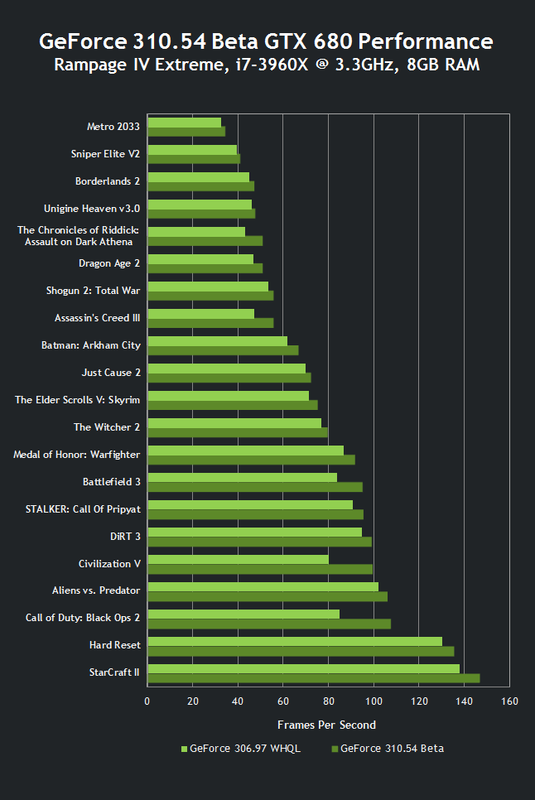 Now check out the full list of improved games with percentage leaked from Nvidia.